The Carlsberg Group is a Danish brewing company founded in 1846 by J.C Jacobsen with headquarters located in Copenhagen, Denmark. Carlsberg Group has a wide portfolio of more than 140 main brands and more than 500 including sub-brands. Ranging from international premium brands to strong local brands and super premium craft beers. The company’s flagship brand is Carlsberg Beer but it also brews Tuborg, Holsten and Kronenbourg 1664. PepsiCo is one of the world’s leading food and beverage companies with over $66 billion in net revenue in 2013 and a global portfolio of diverse and beloved brands. They have a complementary food and beverage portfolio that includes 22 brands that in 2013 each generated more than $1 billion in estimated annual retail sales. PepsiCo’s products are sold in more than 200 countries and territories around the world. PepsiCo began in 1965 with the merger of Pepsi-Cola and Frito-Lay. Today, it’s a global food and beverage leader. Based on net revenue, PepsiCo is the second largest food and beverage business in the world. Jaguar Land Rover is the UK’s largest automotive manufacturing business, built around two iconic British car brands: Land Rover, the world’s leading manufacturer of premium all-terrain vehicles and Jaguar, one of the world’s premier luxury sports saloon and sports car marques. Under the ownership of Tata Motors Limited, Jaguar Land Rover has a world-class team of 32,000 people globally. In addition they support more than 210,000 UK jobs through the supply chain, dealer network and wider economy. The Molson Coors Brewing Company is a North American brewing company, formed in 2005 by the merger of Molson of Canada, and Coors of the United States. It is the world’s seventh largest brewer by volume. Molson Coors operates in communities all over the world, capturing the local flavors of each region through strategic sourcing, and bringing them to drinkers everywhere. Molson have offices in Canada, the United Kingdom, Central Europe, Asia and the United States, but have connections to beer drinkers everywhere. Arthrex Inc. is a global manufacturing company that makes orthopedic surgical supplies. 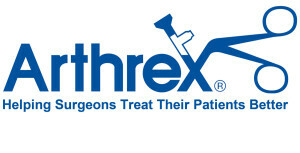 Arthrex began in 1981 as Arthroscopy Excision Instruments Inc. in Munich, Germany. Arthrex provides products and services for the surgical specialties of shoulder, knee, hip, and small joint surgery for human and veterinary markets. The mission of Arthrex is “Helping surgeons treat their patients better”. Arthrex is one of the fastest growing and multi awarding winning companies and named in the 2015 FORTUNE “100 Best Companies to Work For”. INEOS is a global manufacturer of petrochemicals, speciality chemicals and oil products. It comprises 18 businesses, each with a major chemical company heritage. Its production network spans 80 sites in 16 countries throughout the world. Keter Plastic is one of the world’s leading manufacturers and marketers of resin-based household and garden consumer products, with annual sales amounting to over $1 billion. As part of the Keter Group, a global enterprise that has been active for over 60 years, Keter operates 18 factories and two distribution centres in nine countries. The Group sells to over 100 countries around the world, maintaining sales offices in the majority of these markets. Keter’s products have been internationally recognized with several product patented and design awards. AdvanSix is a leading manufacturer of chemical intermediates, ammonium sulfate fertilizers and Nylon 6, a polymer resin used by customers to produce engineered plastics, fibers, filaments and films. The company has an 88-year legacy of success as a global industry leader and technology pioneer, serving a variety of customers in more than 40 countries. Føroya Tele is the primary provider of telecommunications and digital terrestrial television services to the Faroe Islands. Established by an act of Parliament in 1906, the company was reorganised in 1998 as a limited liability corporation, with the government of the Faroe Islands as the sole shareholder. Faroese Telecom is also part owner of ICT business solution companies ‘Formula’ and ‘Vikmar’ and headquartered in Tórshavn, with offices located throughout the country. Faroese Telecom implemented a digital terrestrial television network in the Faroe Islands in record time, which, in combination with their extensive telecom network (including fixed, mobile and ADSL) offers exceptional cross-media services. The Canada Revenue Agency (CRA) contributes to the economic and social well-being of Canadians and the efficiency of government by delivering world-class tax and benefit administration that is responsive, effective, and trusted. The CRA administers tax laws for the Government of Canada and for most provinces and territories. Matthews International Corporation is a global provider of brand solutions, memorialization products and industrial automation solutions. It serves manufacturers, suppliers, and distributors of durable goods and building products; consumer goods manufacturers; and producers of pharmaceuticals. Founded in 1850 with headquarters in Pittsburgh, USA, the company boasts approximately 11,000 employees at more than 100 locations over six continents. Mead Johnson Nutrition is a leading global manufacturer of infant formula. The company dates back to a firm created by Edward Mead Johnson, one of the co-founders of Johnson & Johnson, who created his own business in 1895, which was renamed Mead Johnson & Company in 1905. In the year ending 31 December 2016, Mead Johnson reported net sales of $3,743 million. Fifty percent of those sales were generated in Asia, 17% in Latin America and 33% in North America/Europe. For the same period, the company reported total assets of $4,088 million. Dematic is a global engineering company that designs, builds, & life cycle supports a comprehensive range of intralogistics and material handling solutions for a wide variety of markets in the US, Europe, China and Australia. These solutions encompass shipping and receiving within production and distribution applications. As a solution provider, they continue to introduce new capabilities built around material handling technology, process improvements and software. Carpenter Technology Corporation is a leading producer and distributor of premium specialty alloys, including titanium alloys, powder metals, stainless steels, alloy steels, and tool steels as well as drilling tools. Founded in 1889, the company has grown from one location in Pennsylvania to dozens throughout the U.S., Europe and Asia. Neo Performance Materials is a leading supplier of advanced materials used in a wide range of technology applications across many sectors. They are engaged in the production, processing and development of rare earth and zirconium-based engineered materials, meeting their customers’ most challenging product specs. With corporate offices in Canada, Colorado and China, their products are sold globally through sales offices across ten countries. Family owned and operated in the heart of Napa Valley since 1948, Trinchero Family Estates is a worldwide leader in the wine industry, with more than 45 acclaimed wine and spirits brands and a global presence in nearly 50 countries. Trinchero Family Estates is a story of modest beginnings, steadfast perseverance and enduring passion—for the land, for the community, for world-class wine. TimkenSteel is a leading steel manufacturer of world-class, custom clean steel that advances critical products in the world’s most demanding applications. TimkenSteel is the leading manufacturer of SBQ steel large bars (6-inch diameter and greater) and seamless mechanical tubing in North America. Pall Corporation is a global leader in high-tech filtration, separation, and purification, serving the diverse needs of customers across the broad spectrum of life sciences and industry. Pall Life Sciences provides cutting-edge products and services to meet the demanding needs of customers discovering, developing and producing biotech drugs, vaccines, cell therapies and classic pharmaceuticals. Pall Industrial serves a diverse range of customers in the microelectronics, aerospace, fuels, petrochemical, chemical, automotive, and power generation industries. Compass Group is the global market leader in providing food and a range of support services to customers in the workplace, schools and colleges, hospitals, at leisure and in remote environments. Working in over fifty countries with over 470,000 employees, Compass Group combines local knowledge with global reach. Compass Group UK & Ireland has over 60,000 employees and works in over 10,000 client sites. Every day we serve over three million people and produce over one million meals. With over £1.9bn turnover, we constantly innovate to find new and exciting ways to deliver great food and support services to every one of our clients. Textron Inc is not only one of the world’s best known multi-industry companies, it is a pioneer of the diversified business model. Founded in 1923, they have grown into a network of businesses with total revenues of $12.1 billion, and approximately 32,000 employees with facilities and presence in 25 countries, serving a diverse and global customer base. Headquartered in Providence, Rhode Island, Textron is ranked 228th on the FORTUNE 500 list of largest U.S. companies. NGK Spark Plug Co., Ltd. is a public company established in 1936. Based in Nagoya, Japan NGK has more than 13,000 employees, and manufactures and sells spark plugs and related products for internal combustion engines, along with ceramics and applicable products. 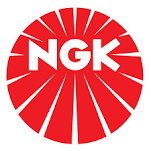 NGK stands for Nippon (Japan) Gaishi (insulator) Kaisha (company). 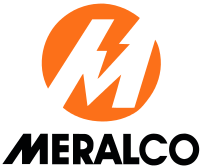 The Manila Electric Company, also known as Meralco, is the Philippines’ largest distributor of electrical power with over 5 million customers. <br? It is Metro Manila’s only electric power distributor and holds the power distribution franchise for 22 cities and 89 municipalities. Computer Sciences Corporation (CSC) is an American multinational corporation that provide information technology (IT) services and professional services. Its headquarters are located in Falls Church, Virginia. In addition to our headquarters in Falls Church, Virginia, USA, and three other major offices in Australia, Asia and Europe, our 80,000 professionals serve clients in more than 70 countries. CSC is acknowledged as the world’s fourth most admired IT Services company. The company also figures in the Forbes Global 2000 list. 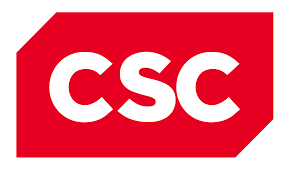 CSC reported revenue of $13.2 billion for the 12 months ended December 27, 2013. Brady Corporation is an international manufacturer and marketer of complete solutions that identify and protect premises, products and people. Its products help customers increase safety, security, productivity and performance and include high-performance labels and signs, safety devices, printing systems and software, and precision die-cut materials. Founded in 1914, the company has millions of customers in electronics, telecommunications, manufacturing, electrical, construction, education, medical and a variety of other industries. Brady employ more than 6,500 people at operations across the UK, Europe, North America and Asia-Pacific. Today Brady has more than 1 million customers and net sales for 2013/14 were $1.225 billion. Suncor Energy is a Canadian integrated energy company based in Calgary, Alberta. It specializes in production of synthetic crude from oil sands. Suncor ranks number 134 in the Forbes Global 2000 list. In 1967, they pioneered commercial development of Canada’s oil sands — one of the largest petroleum resource basins in the world. Since then, Suncor has grown to become a globally competitive integrated energy company with a balanced portfolio of high-quality assets, a strong balance sheet and significant growth prospects. With AmeriGas, you get more than just a propane supplier – you get a propane expert and partner. Since 1959, their mission continues to provide people with the most reliable, safest, and responsive propane service in the nation. Over 2 million customers use AmeriGas propane services in all 50 states. This has made AmeriGas the largest marketer of propane. Ingram Micro helps businesses fully realize the promise of technology™—helping them maximize the value of the technology that they make, sell or use. With its vast global infrastructure and focus on cloud, mobility, supply chain and technology solutions, Ingram Micro enables business partners to operate more efficiently and successfully in the markets they serve. No other company delivers as broad and deep a spectrum of technology and supply chain services to businesses around the world. Founded in 1979, Ingram Micro’s role as a leader and innovator in technology and supply chain services has fueled its rise to the 69th ranked corporation in the FORTUNE 500®. The Carrier Corporation, based in Farmington, Connecticut, is a manufacturer and distributor of heating, ventilating and air conditioning (HVAC) systems, as well as commercial refrigeration and food service equipment. A wholly owned subsidiary of United Technologies Corporation, Carrier is a $12.5 billion company with over 43,000 employees serving customers in 170 countries on six continents. Built on Willis Carrier’s invention of modern air conditioning in 1902, Carrier is the world leader in heating, air-conditioning and refrigeration solutions. Clark County is a dynamic and innovative organization dedicated to providing top-quality service with integrity, respect and accountability. 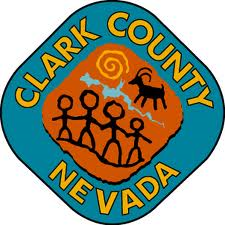 With jurisdiction over the world-famous Las Vegas Strip and covering an area the size of New Jersey, Clark is the nation’s 12th-largest county and provides extensive regional services to more than 2 million citizens and 43 million visitors a year. Included are the nation’s 9th-busiest airport, air quality compliance, social services and the state’s largest public hospital, University Medical Center. The County also provides municipal services that are traditionally provided by cities to about 900,000 residents in the unincorporated area. Sutter Home is the fifth-largest winery in the United States and is both family-run and independent. All winemaking, bottling, shipping and warehousing operations for its 18 varietal wines are concentrated in three modern facilities in Napa County, California. Apple Leisure Group (ALG) is a travel and hospitality conglomerate focused on packaged travel and resort/brand management in Mexico and the Caribbean. It is the parent company of resort and brand management company AMResorts and its loyalty program, Unlimited Vacation Club. ALG also oversees tour operators Apple Vacations and Travel Impressions, online travel agency CheapCaribbean.com, as well as destination management company AMStar DMC.